Having grown up in New England, right on Long Island Sound, I can honestly say there are very few varieties of seafood that I don’t like. And seafood is delicious when flavored with fresh herbs like those in this lemon sea salt recipe. Thyme is one herb that I actually grow in my own herb garden and it comes back year after year. 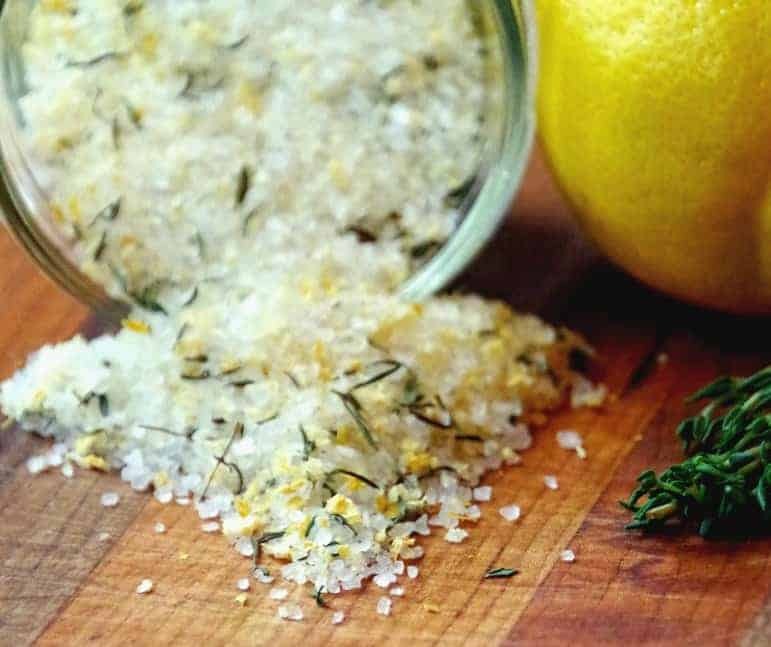 By combining fresh herbs, a little bit of citrus, and some coarse sea salt, you have the perfect herb infused sea salt recipe to really bring out the flavor of your fish. And by making this thyme salt recipe up in bulk, you don’t have to worry about always having fresh lemon and thyme in your kitchen! Learning how to make infused sea salt will save you a ton of money. You will never again purchase those pre made salt seasonings ever again! 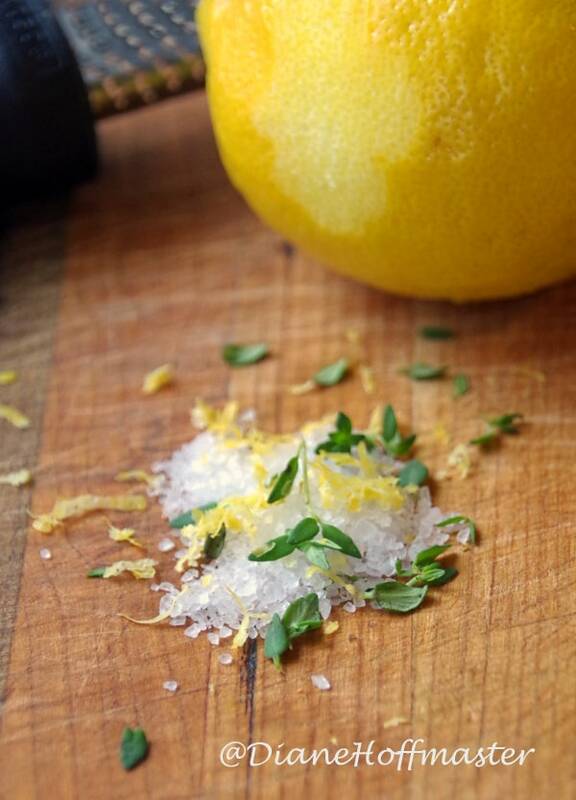 If you don’t care for lemon or thyme, the flavor possibilities are endless. Try lime or oranges for the citrus and rosemary or tarragon for the herb. I had amazing luck with my tarragon and rosemary last year so those will definitely be planted again this spring if I don’t see any new life out there soon. You could do a cilantro/lime infused sea salt that would go great in a homemade guacamole recipe! If you don’t have course sea salt, you can definitely use kosher salt instead for this thyme salt recipe. I try to stay away from the processed and ‘iodized’ salts on the market today for health reasons. If you would like to learn more about the different salt varieties, check out my article about making smarter salt choices. 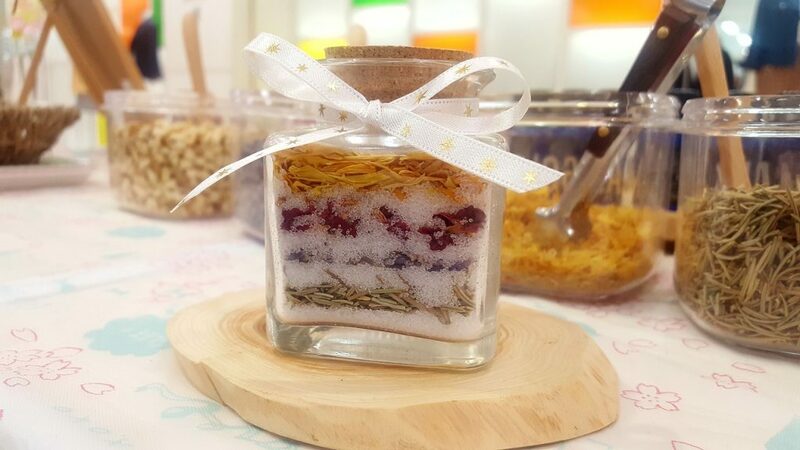 Package this infused sea salt in a cute little jar and you can give it as a gift to your favorite foodie! 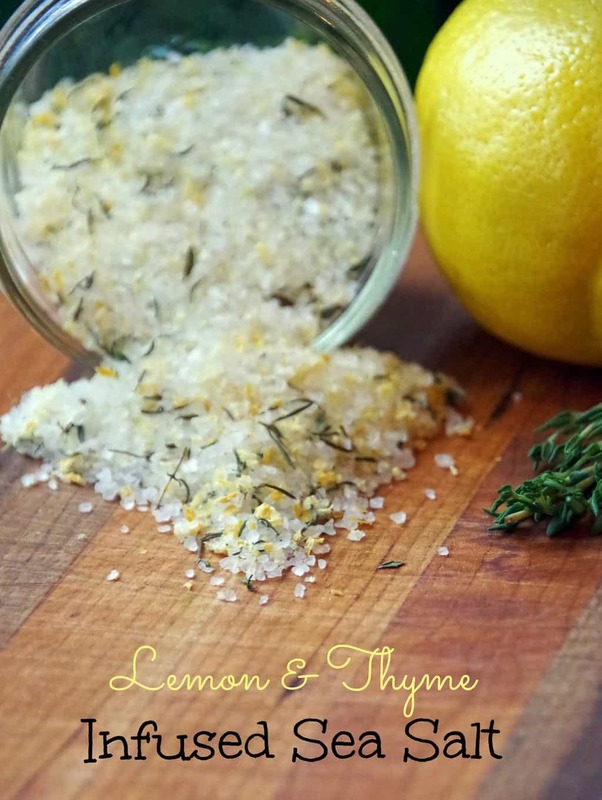 If you love the lemon/thyme combination, check out my lemon and thyme gardeners hand scrub. If smells amazing and is great for getting tough dirt stains and kitchen smells off of your hands. Learn how to grow thyme in your backyard and you will have an endless supply for all of these DIY projects! 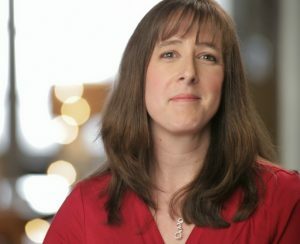 If you are looking for more herb infused sea salt recipes, I thought I would share a few from other sites. Seafood is a healthy dinner idea but switching out your seasonings occasionally is always fun! Check out this homemade red wine sea salt recipe tutorial from PopSugar! NOTE: I like a course look to my seasonings. If you prefer this to be a ‘fine’ powder you can pulse it in a food processor for a few seconds! 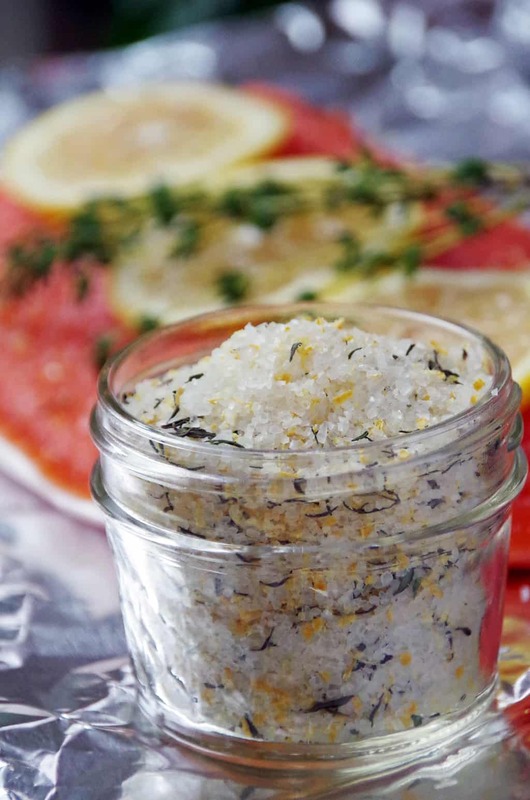 This lemon and thyme infused sea salt brings out an amazing flavor in just about any seafood recipe. Easy to make and nothing artificial. Using the flat part of a spoon, gently press out any lumps that have formed. To use, sprinkle onto seafood to taste either before or after cooking.